For severely damaged or missing teeth, dental implants in Orange Park offer a sturdy and long-lasting replacement option. For a single missing tooth or several that have been lost in a row, crowns or bridges retained by dental implants can take their place in a beautiful and lifelike way. Dr. Matthew Nawrocki and his team are pleased to offer implant-retained crowns and bridges -- keep reading to find out more about how they work! No matter how many teeth you have lost, replacing them should be at the top of your list right after it happens. Even if those gaps are in the back of the smile, missing teeth can take a serious toll on your self-confidence as well as your oral and overall health. And, after you are missing one tooth, you are likely to lose even more later on due to the gradual loss of bone and periodontal tissue that occurs with tooth loss. For eligible patients, there is no better method of replacing teeth than with dental implants. They offer a comprehensive method that takes care of the missing teeth as well as their roots. Implant posts stabilize the jawbone to restore your ability to chew and speak and prevent the loss of additional teeth later on. Dental implants are placed in two major phases: initial implantation and final restoration. First, the titanium implant posts are surgically placed beneath the gum line. The gums are then closed and, over the course of 4 to 6 months, bone tissue is generated and the implants gradually fuse together with the jaw. Once this process, known as osseointegration, is complete, the implant posts are exposed once again, a connecting abutment is attached, and the crown or bridge can be affixed on top. In total, the entire treatment may last a year or more. An implant dental crown can be placed between two healthy teeth without them having to be adjusted or reshaped at all. This is an excellent way to close a lone gap in the smile while also preserving a patient’s remaining teeth. An implant-supported bridge can take the place of several missing teeth that have been lost consecutively. Two implants are placed on either side of the gap in a patient’s smile, and these can be used to support up to four prosthetic teeth. For cases of significant tooth loss, we may recommend an implant-retained denture. The prosthetic will be affixed directly to the jawbone using four to six implant posts, which will give it a much more stable and secure hold compared to a traditional removable denture. As we touched on above, dental implants can be used to help people with varying degrees of tooth loss, and because of this, the cost of the procedure is different from patient to patient. The number of implants used, where they are located in the mouth, and what kind of restoration that’s needed can all influence the final price. While implant restorations do tend to cost more than other traditional options, they usually end up costing a patient less in the long-run thanks to their longevity. 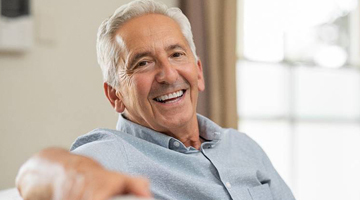 Traditional bridges and dentures typically need to be completely replaced every 5-7 years, while dental implants can easily last for 30 or more, meaning a patient will spend much less on retreatment over time, which can easily add up to thousands. If you are missing teeth or are on the brink of losing one or more, dental implants can help you achieve a lasting, complete smile for a lifetime to come. Please do not hesitate to contact us today to schedule a consultation.